There may come a time when you, too, want to hike the PCT. Or perhaps you have stumbled on my blog looking for more info on a hike you're already planning. I can attest, trying to plan for a five-month trek in the wilderness is no easy feat. But it can be accomplished with both exhaustive research and relatively little. As veterans of the trail will say: hike your own hike. Obviously some research/planning is preferable to none, but it's up to you to determine how much you want to know prior to the trip, and how much you want to figure out as you go. I'm fortunate to own most of the gear I need (although I made some necessary purchases for lighter weight gear in some areas) so most of my prep revolves around planning and pre-conditioning. Since this is somewhat of a "last minute" trip, I've done most of this in a month's time. It's stressful, but it can be done. (I hope!) Here are the sites and resources I found most helpful. Hopefully they will help you, too, should you choose to hike the PCT someday. A simple step by step guide - this is a good place to start. Break your planning down into manageable chunks, plan backwards from your start date, and go from there. Resupply Page - to be very useful for my food drops/ town stays/ resupply strategy. Hiking the PCT takes a lot of forethought, and this website makes it much simpler. You could listen to me talk about PCT nonsense all day, or you could just visit this site and be done with it. PCTA - the official website of the PCT. There are some great links on here that will tell you everything you need to know about the PCT, including trail closures, maps, regional info, and just some interesting history on the trail itself. Fun to browse even if you're not hiking! Craig's PCT planner - this site does a great job of taking your stats: hiking speed, distance traveled, length of hike, and calculating dates of arrival at each resupply point along the trail. A good place to start if you're trying to figure out your timeline. Postholer - A great guide for most of the long-distance hikes in the US. 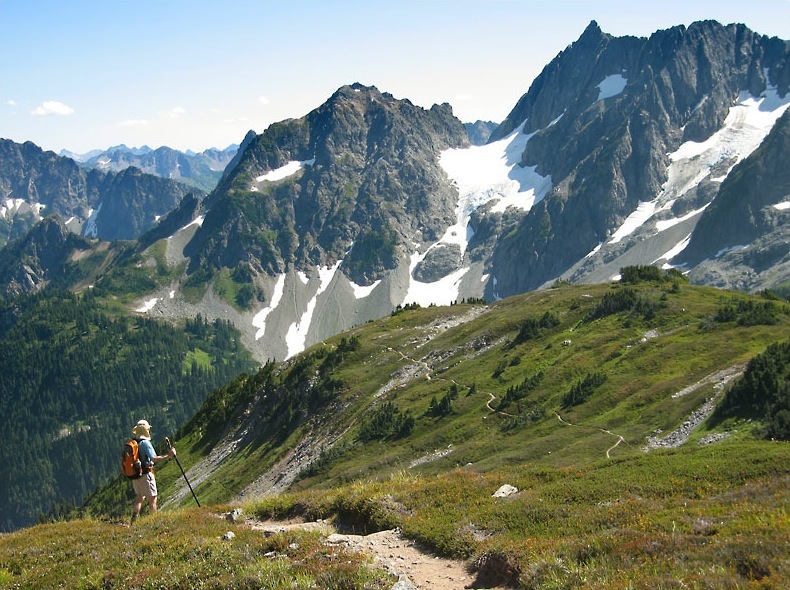 Permits - Whether you're long distance hiking or just doing a weekend excursion, you'll need wilderness permits for most of the PCT. Most of them are free or fairly inexpensive, so apply for them here ahead of time. Yogi's PCT Guide - Yogi is a "triple crowner" - someone who has hiked the AT, the PCT, and the CDT (Continental Divide Trail) and she has put together a very thorough planning and guide book for the PCT. She interviews other thru-hikers, gives important info about towns and resupplies, not to mention gear choices, general planning guides and a complete look at the trail. If you only buy one book, this should be it. Halfmile Maps - These maps (I hear) are by far the best. They are updated each year by Halfmile, who hikes the trail with his GPS and makes notes as he goes along to make sure the topo info and waypoints are accurate. And best of all? They are free! The only downside is that there are 450+ pages of them for the whole trail, so you'll probably end up shelling out some moolah to get them printed. Or you can download the PDFs to your phone and use them digitally that way. PCT Data Book - A slim tome listing just the important stuff: water, resupply stats, town info, elevation, etc. Concise and factual. Small enough to carry in your pack or tear it up and mail yourself the pages. Wild by Cheryl Strayed - Most trail memoirs I read are joyful, uplifting tales of a hiker "finding themselves" in one way or another on the trail. Wild is about finding oneself, but it's definitely more mellow in tone than many other similar novels. Cheryl Strayed has had a difficult life, but she explains it so beautifully in this book about hiking the PCT. If you're not crying half-way through the first chapter, there's something wrong with you. Walking with Wired - Here is a great trail journal from "Wired", who thru-hiked in 2011. She has some great resources and a fun blog that she kept up while on trail. Bacon Bit's PCT journal - This is a girl after my own heart. Way too organized for her own good, with some great documents about resupply stops and food planning. Her hiking blog is also great fun to read - she has a very poetic way of expressing herself. You'll enjoy it. Heather and Sierra's PCT blog - The story of the youngest girl - at age 9 - to complete the PCT with her mom. What more do you need to know? I wish I had been that badass at nine! Trailjournals - this site is a great way to read other blogs from thru-hikers of the PCT, the AT, and other long-distance hikes. I have found some very good authors on here.